India’s premier luxury train Maharajas’ Express has once again won the coveted award for World’s Leading Luxury Train at World Travel awards. World Travel Awards Grand Final Gala Ceremony 2014 was held at Cuisin Art Golf Resort & Spa in Anguilla. Eel shaped Anguilla island is nestled amid the Leeward islands of the Carribean. Maharajas’ Express has one the title for third time in row, having it one already for 2012 and 2013. Two other Indian luxury trains- Deccan Odyssey and the Golden Chariot were in the contention for the award having nominated in finals. Just as India has a host of luxury heritage hotels lined up, it also has some of the best luxury trains to offer. Palace on Wheels and Royal Rajasthan on Wheels had been popular among travelers for decades. But there are many to more offer.Owned by IRCTC, Maharajas’ Express is often dubbed as India’s equivalent to the Orient Express of Europe. 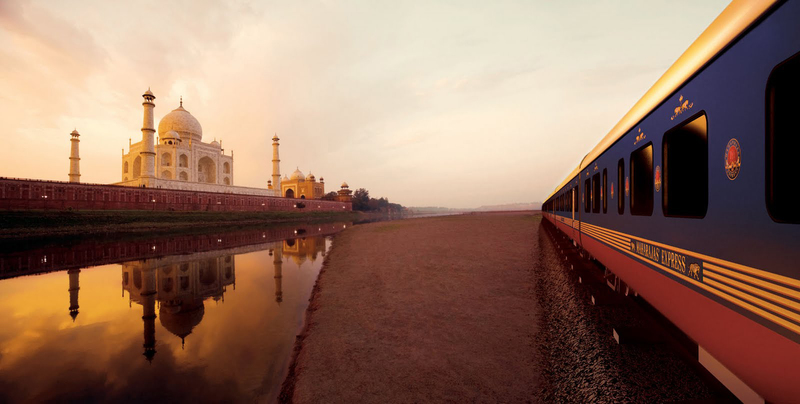 With its 5 tastefully crafted rail journeys, Maharajas’ Express presents India in a way never seen before. Long before the arrival of colonial power, India used to be the land of maharajas. Kingdoms were founded, cultures flourished and art developed. Each dynasty that flourished here left there indelible imprints through art and architecture which today manifest in India’s rich heritage. Whereas the life of the train is designed for cultural interactions, life on board Maharajas’ Express is all refinement, opulence and elegance. Each coach incorporates as its motif the gemstone after which they are named. 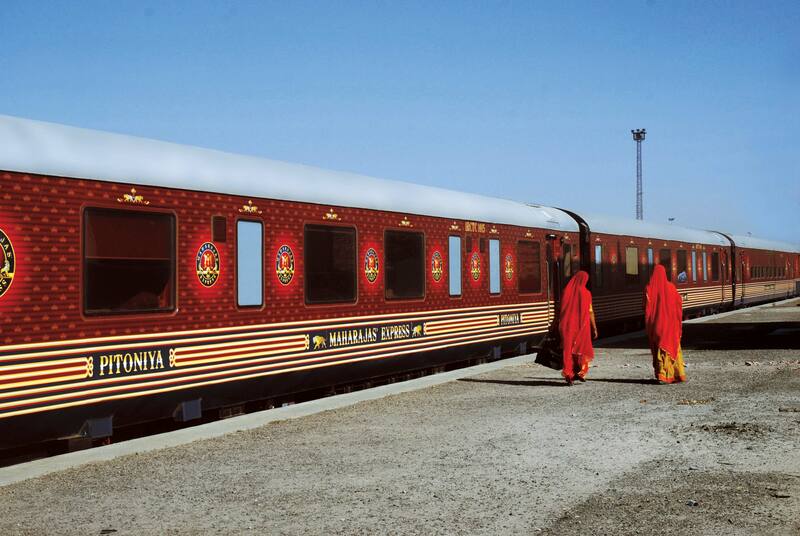 The 14 guest carriages of the Maharaja’s Express are each named after a precious stone. 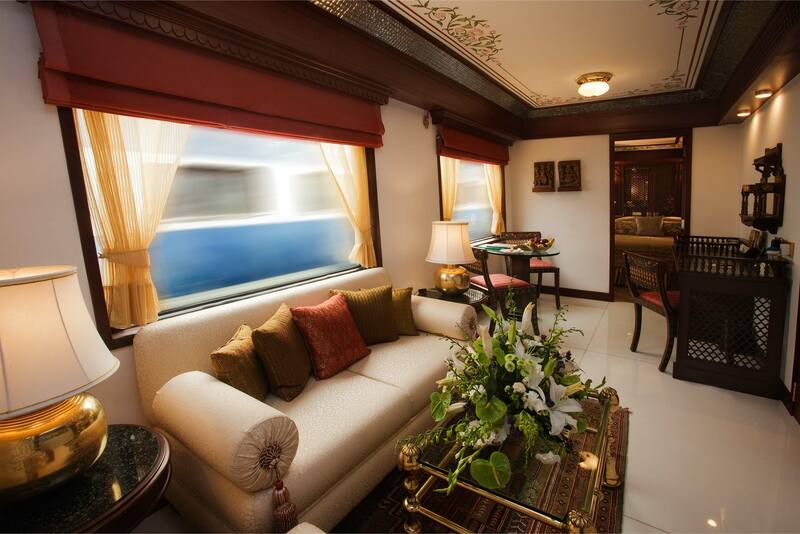 The Presidential Suite, the only of its kind in the world, spans an entire carriage and is aptly called the Navratna. The train has a four-cabin configuration – Presidential Suite, Suite, Junior Suite and Deluxe Cabin. All cabins and suites feature large panoramic windows to run the beautiful imagery of varying landscapes whizzing by. Facilities such as Live Television, Wi-Fi Internet and individual climate control transform your cabin into a cocoon of comfort. 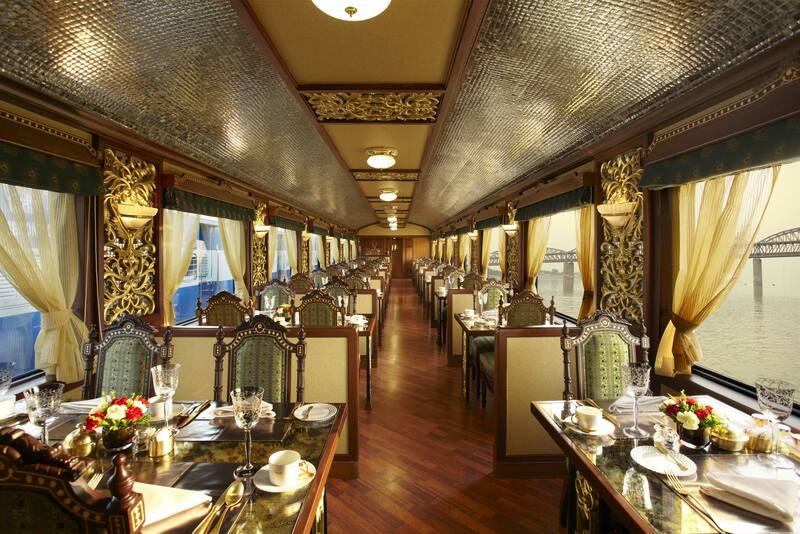 Gourmet dining on board Maharajas’ Express is arranged in 2 dining cars which are named Rang Mahal (Color Palace) and Mayur Mahal (Peacock Palace). The plates are fine Limoges, edged with gold, the glasses Swarovski hand-cut crystal and the cutlery monogrammed with the letter M. Guests could engage in recreational activities inside the Rajah Club – Lounge Car. Rajah Club has a well stocked library with general books and pictorial guidebooks offering glimpses of Indian Maharajas who used rule their kingdom before India became democracy. Board games and card games could also be enjoyed in Rajah Club over sip of your favorite wine. At one end stands the bar and at the other stands a souvenir shop named Treasure Chest from where you could buy mementos of this royal train journey. 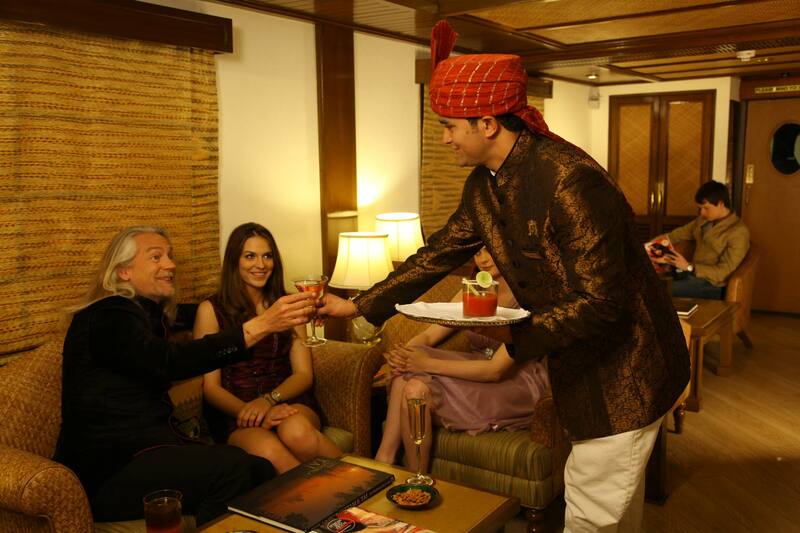 Maharajas Express offers five itineraries which crisscrosses some of the most significant tourist destinations in India. Three of them are 7 nights/8 days journey: The Heritage of India, Indian Panorama and Indian Splendor. Two other are 3 nights/4 days journey: Treasures of India and Gems of India. The journeys of Maharajas Express either begins or ends in Delhi and each one of them includes a tour to Agra for Taj Mahal sightseeing.